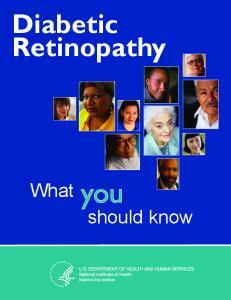 Diabetic Retinopathy WHAT IS DIABETIC RETINOPATHY? 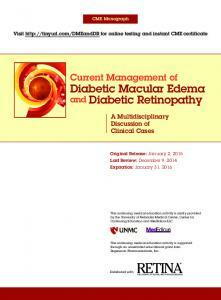 WHAT CAUSES DIABETIC RETINOPATHY? WHAT ARE THE STAGES OF DIABETIC RETINOPATHY? • Suboptimally controlled patients should be counseled regarding concerning symptoms • With reasonably timely examination and follow-up, most patients enjoy excellent vision for most of their lives.